SOURCE : Africultures. Translated from French by Beti Ellerson. IMAGES : Africultures. Between the 1990s and 2000s, groups like ALIF (Attaque Libératrice pour l'Infanterie Féministe) managed to carve a place of choice on the scene before disappearing. Nevertheless, some individuals continue to push the doors of Senegalese hip-hop, in order to enlarge the terms of admission. Though with significant obstacles and past disappointments, their gaze is in clear focus on this milieu, as they demand acceptability, which is too often challenged. "Schizophrenia is a known fact for the Senegalese caught in the grip of a feudal, patriarchal, Muslim, animist, modern, assimilated society." 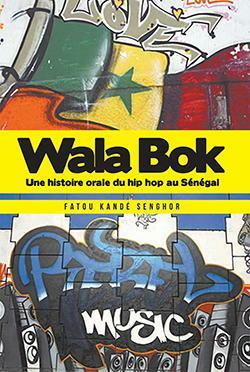 These words drawn from Wala bok, an oral history of hip-hop in Senegal, a recently published book by Amalion editions, come from multidisciplinary artist Fatou Kandé Senghor, who wants to provoke in her country a "peaceful confrontation" through hip-hop. She continues: "As modern as the woman may be...her place in society remains linked to marital status. She tries to overcome it throughout her youth by her culinary skills and power of seduction." Sister Coumbis, a former member of Gothal ("unite" in Pulaar), a woman’s group reassembled many times but still alive, confirms that women’s place in Senegalese society is at the heart of a history in the making of women in hip-hop. "In Senegal, we tend to confine women to the role of wife, mother, sister, mother-in-law and daughter-in-law." A tendency that is put into question. Wanting to make a breakthrough as a woman MC is to be ready to fight against "this heritage." Many women have tried to push boundaries for over a decade. They seek to win mostly by keeping up the fight, rather than through a seductive neckline. The "brave woman" stories among these pioneers of the genre still tell of a sinuous path, full of downsides. Women’s Rap, what is it? In this society, male dominance is a known fact. The men are the decision makers. Hip-hop therefore only illustrates an ever-increasing trend. Keyti, ​​a politically committed rapper, however dares to present a prognosis, which stands out from other perspectives: "Rap is not a guy thing, I think that women especially, have much more to say than men". Confronted with the support for family values in a divided society in flux, the bold women who venture off the beaten track are nevertheless rare. "In 1999, there were plenty of girl groups. Most of these groups no longer exist. Because the girls got married or became pregnant, ending their career," according Njaaya, former member of the group ALIF, one of the largest women's groups recognized by the general public. Created in 1997, ALIF was composed of Myriem and Mina. Afterwards, Oumy and a few others entered the circle. Their first production occupied the ranks in 1999, signalling the emergence of women in Senegalese hip-hop. In 2003, the group released a new album on the international market. Since then, the Senegalese scene has been heartened by the spirit of these performers. Illusion or empty dream, the destiny of Senegalese women rappers always seems ephemeral, torn between modernity and tradition. The protagonists themselves acknowledge it as such: “Women in hip-hop is very young. Culturally, parents and society are not yet ready so there is no strong female role model, who is well-known at the present." We are still far from the attitude towards the complexity of the Tassou, a possible cousin of the rap genre, but rooted in the country’s memory. The Tassou consists of rapid speech with a spasmodic rhythm. A few years ago rappers such as Awadi or the Djoloff declared it as the progenitor of rap. But the issues at stakes for young women rappers announce another world, to the contrary, located far away from a claim to legacy. Which is why Ina Thiam, photographer, videographer and archivist for the association Africulturban, views this claim from the standpoint of a society that remains cautious. This energetic thirty-something, a passionate of urban cultures, wants a vocation à la Martha Copper, photographer archivist of American hip-hop. 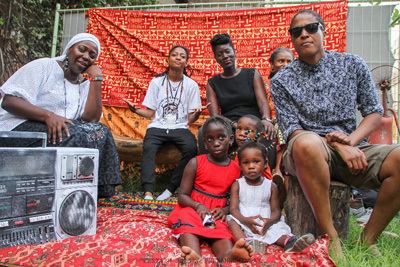 The only woman member of the board of the Pikine-based association, created by the rapper Matador, she is convinced that rap and urban cultures will help to change attitudes in this society. She dreams of real equality in the arts. Fatou Kande Senghor, however, talks about the spirit of her younger cohort in relative terms: "There is a whole panoply of Senegalese women who have the will to truly become rappers of hip-hop. But for me, one needs two things as a Senegalese woman in this environment: the head and the belly. But rappers today are primarily the product of their neighbourhoods. While we have many heroines in Senegal and in Africa, I think it is from there that the public both expects them and yet does not see them coming." Toussa, another rapper from the neighbourhood, manages her own label, Fam Musik. She holds her own, while showing a strong interest in the experiences of women. In addition to talking about it in her texts, she also sees the importance of having social responsibility. "In hip-hop the woman has always existed and has been able to create her place. We do not see them at the forefront, perhaps because of a lack of self-confidence, but they are there. But to make oneself a place requires a lot of determination". A determination that sometimes dissipates along the way. "It is true that there is a female void in the rap clan and this bothers me (...)" states Moona, a rapper of promising talent, and whose next album is soon to be released. She is clear about what is lacking on the female scene. In fact, beyond cultural barriers, these budding artists must take two factors into account: the struggle for financial independence and the content of the texts they propose. On this level, there is still work to be done; there continue to be gaps. Big sister Fatou Kandé Senghor though not soft on the issue, seeks to be compassionate. Entre les années 1990 et 2000, des groupes comme ALIF (Attaque Libératrice pour l'Infanterie Féministe) avaient réussi à se faire une place de choix sur les scènes avant de disparaître. Malgré tout, quelques individualités continuent de pousser les portes du hip hop sénégalais, afin d'en élargir les modalités d'entrées. Fortes des freins et des déconvenues passés, ce sont elles qui posent lucidement leurs regards sur ce milieu, en revendiquant une légitimité trop souvent remise en cause.